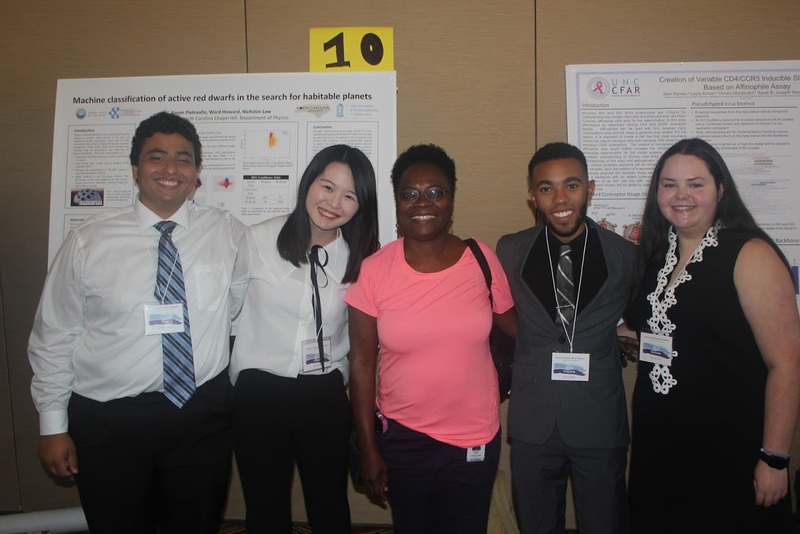 The National Cancer Institute defines cancer health disparities as “differences in the incidence, prevalence, mortality, and burden of cancer and related adverse health conditions that exist among specific population groups in the United States. 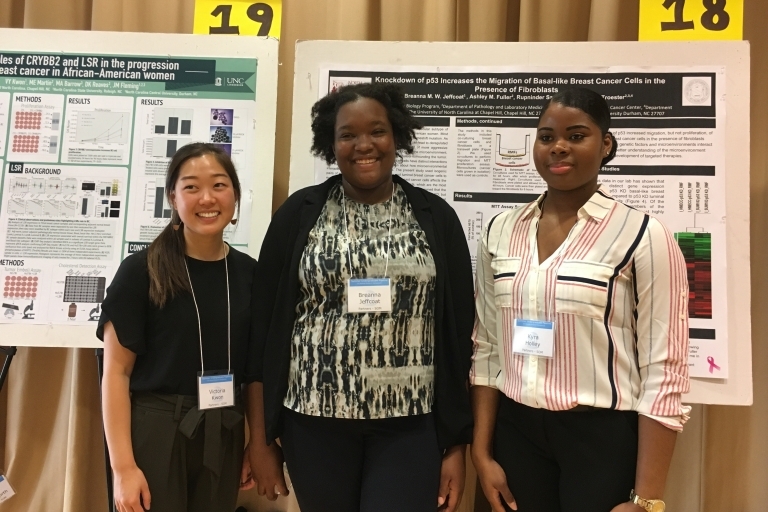 Complex interactions of biological, social, cultural, environmental, and behavioral factors affect disease incidence and mortality and contribute to cancer-related health disparities. 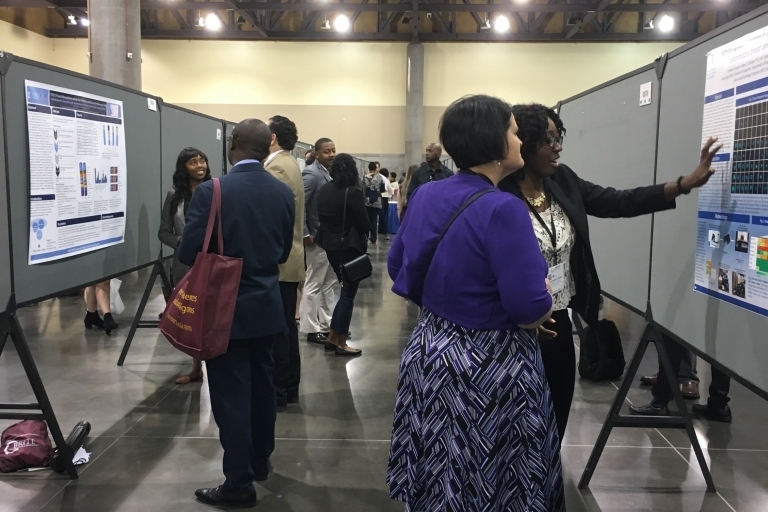 Eliminating these disparities requires a trained cadre of researchers, physicians, and public health professionals who are attuned to cultural and socio-economic issues that affect health care seeking and health care access, patient compliance, participation in clinical trials and risk-reducing behaviors. 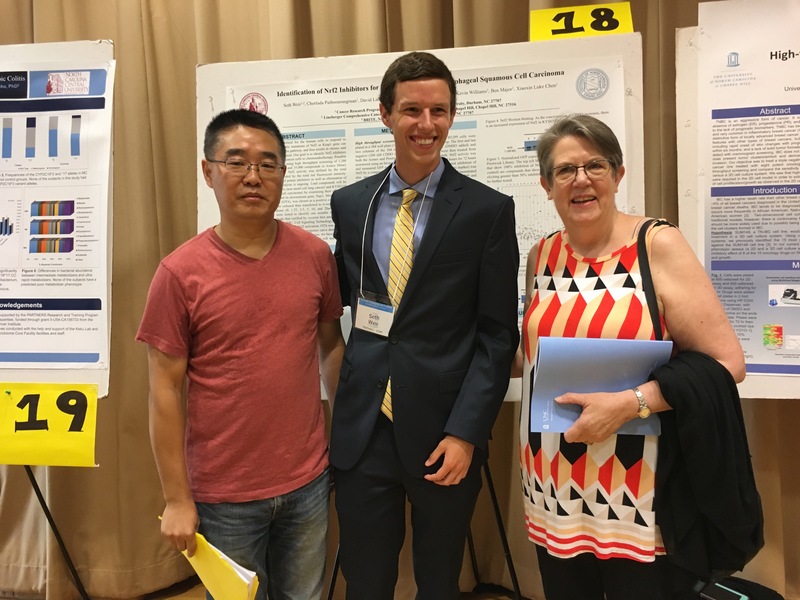 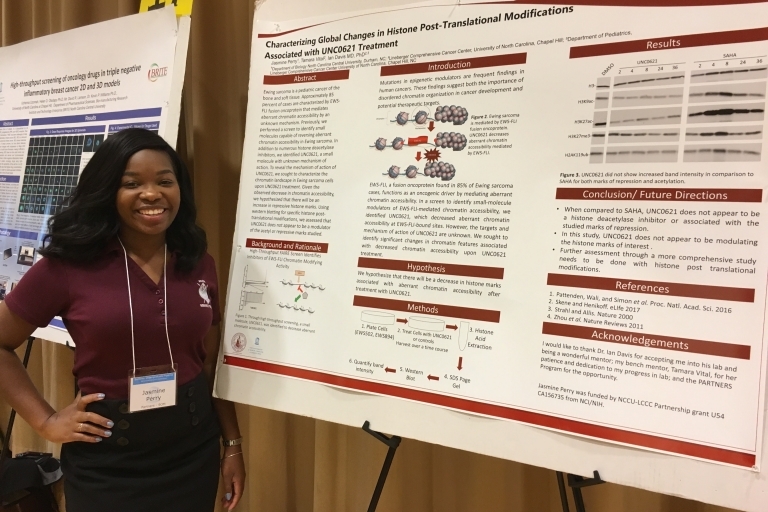 In response to this need, North Carolina Central University and UNC Lineberger Comprehensive Cancer Center have formed the PARTNERS Research Education Program, funded by a U54 award from the National Cancer Institute (CA156735). 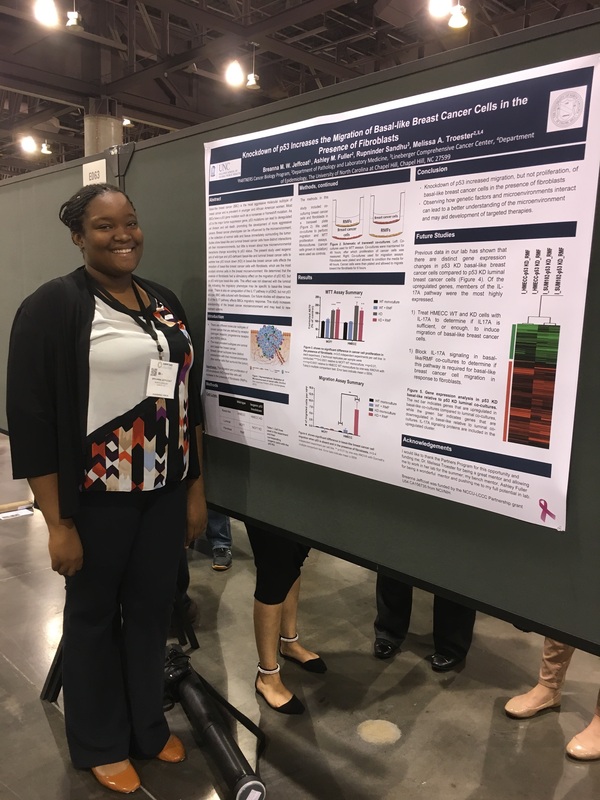 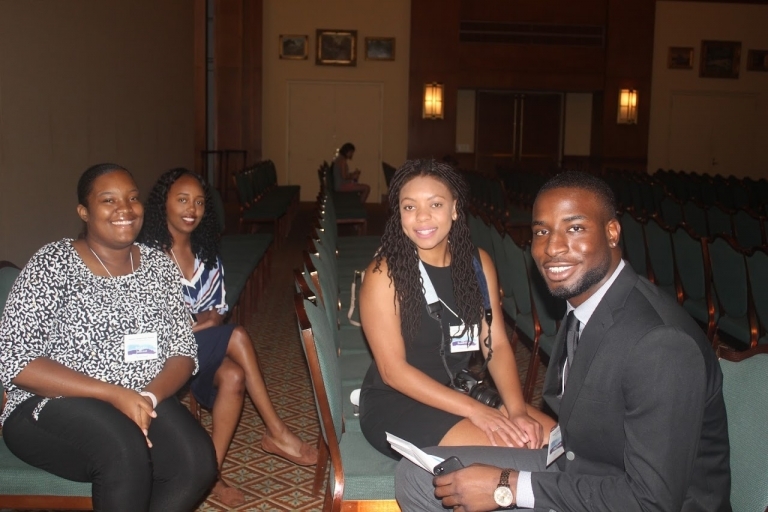 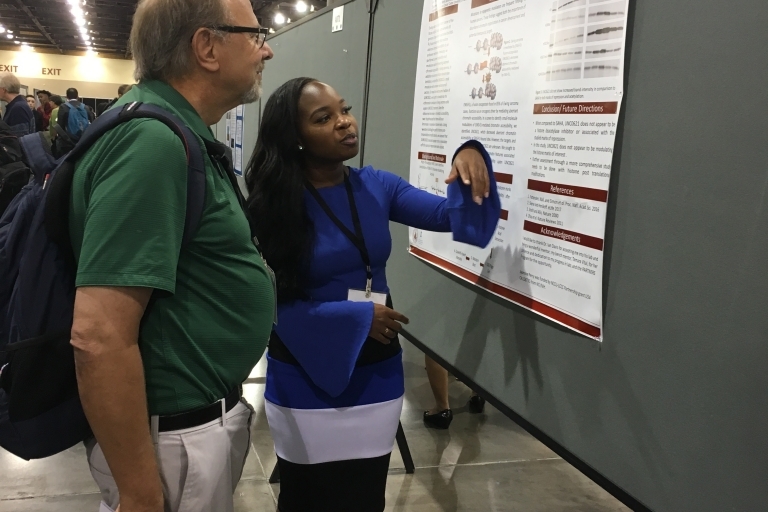 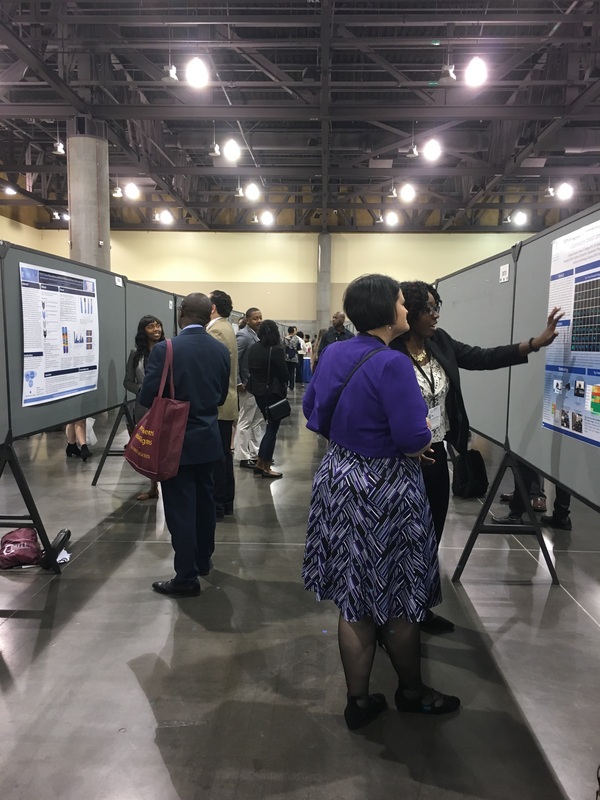 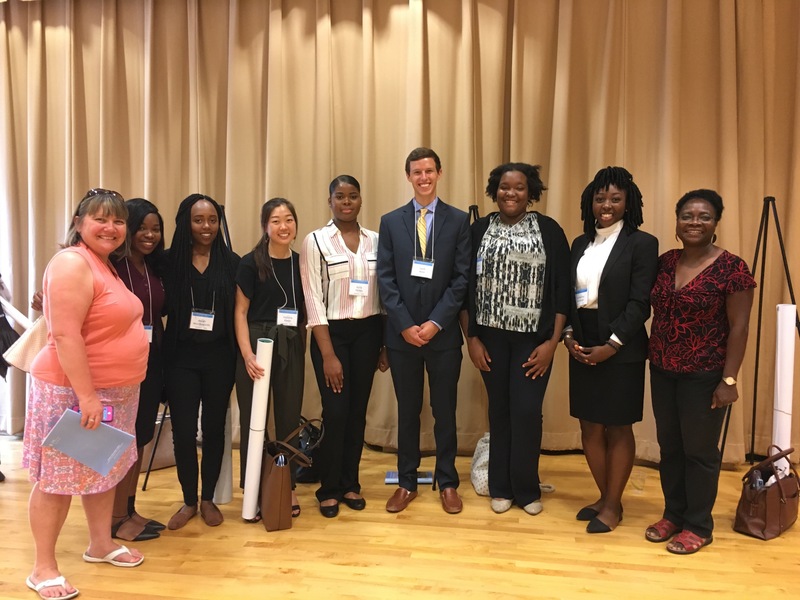 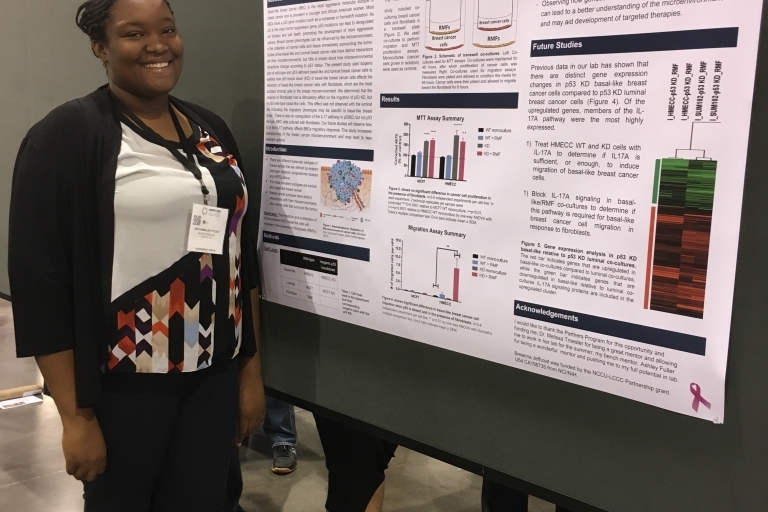 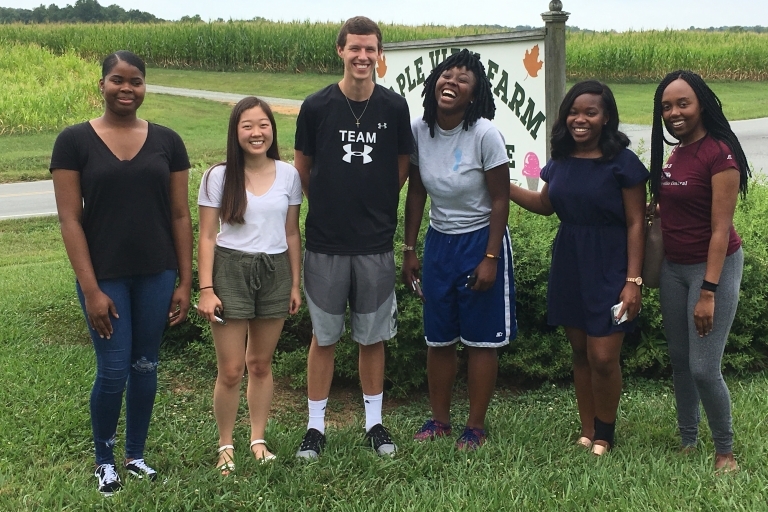 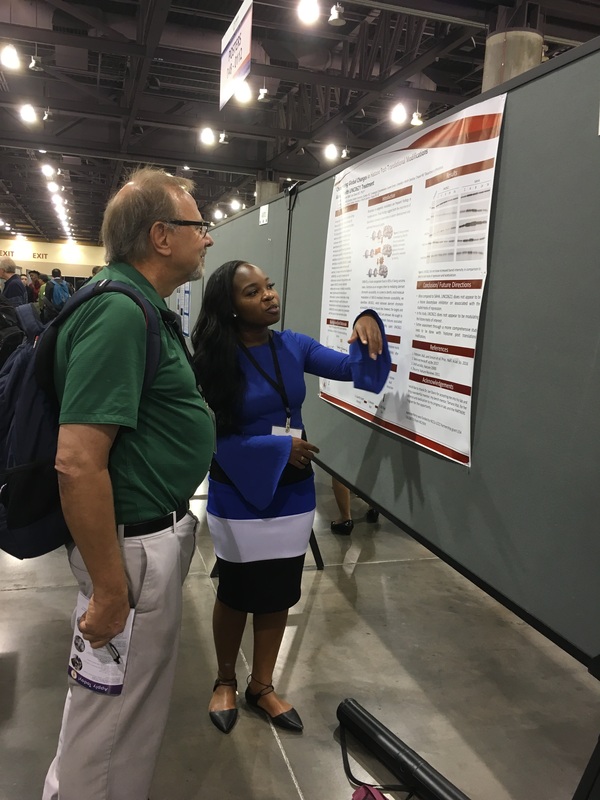 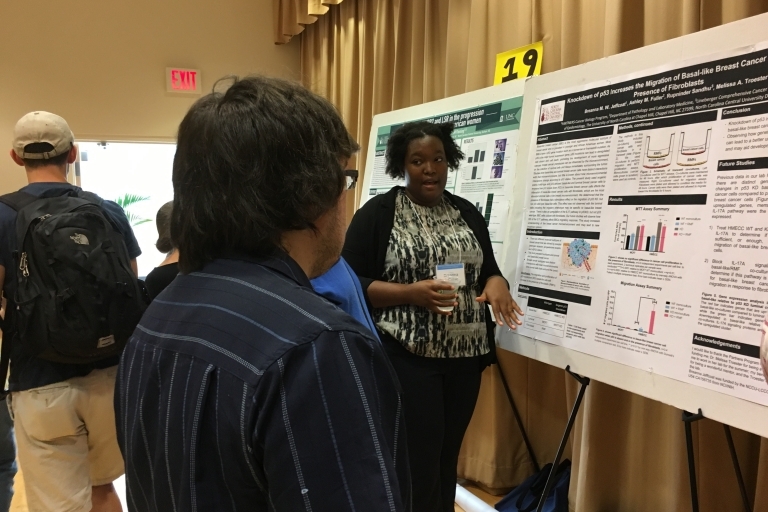 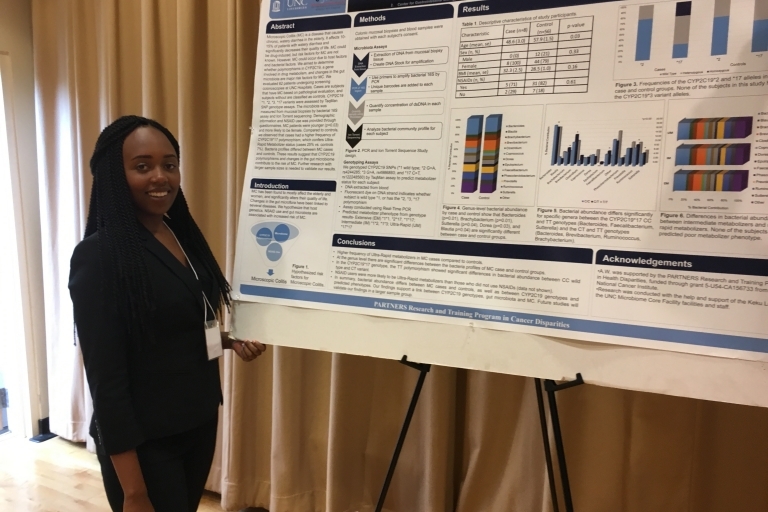 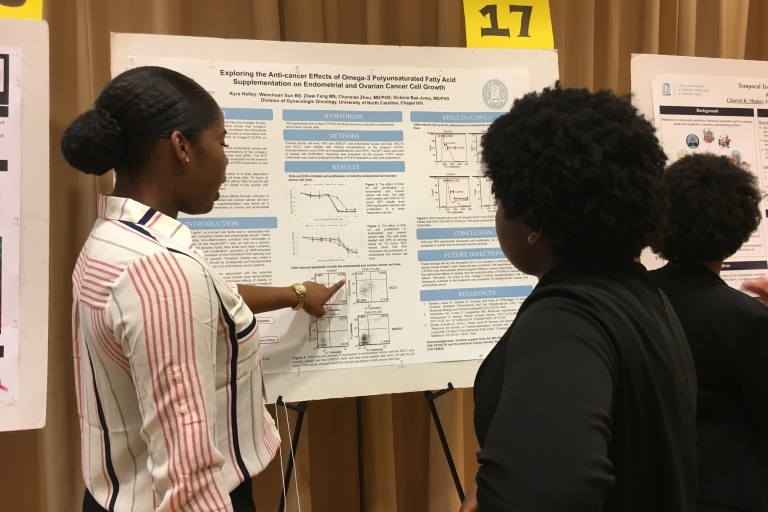 The partners program provides educational training opportunities for undergraduate students to pursue careers in cancer health disparities. 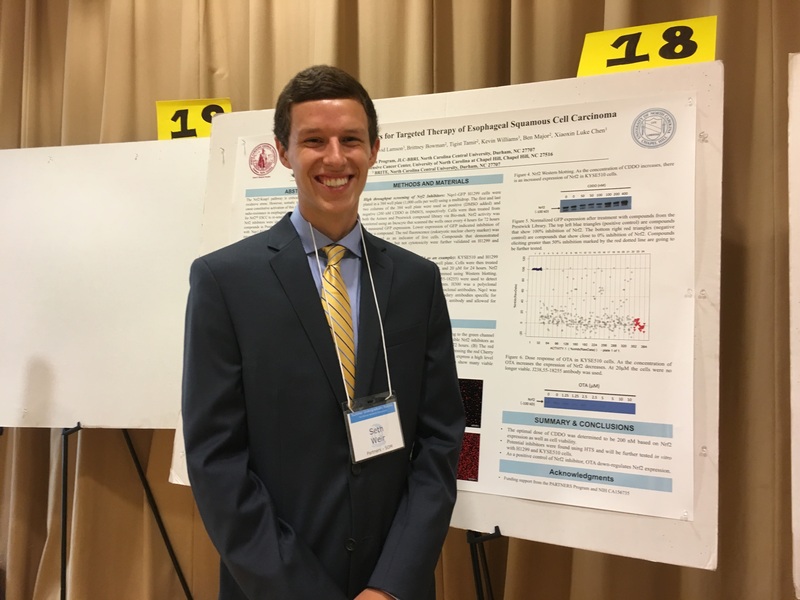 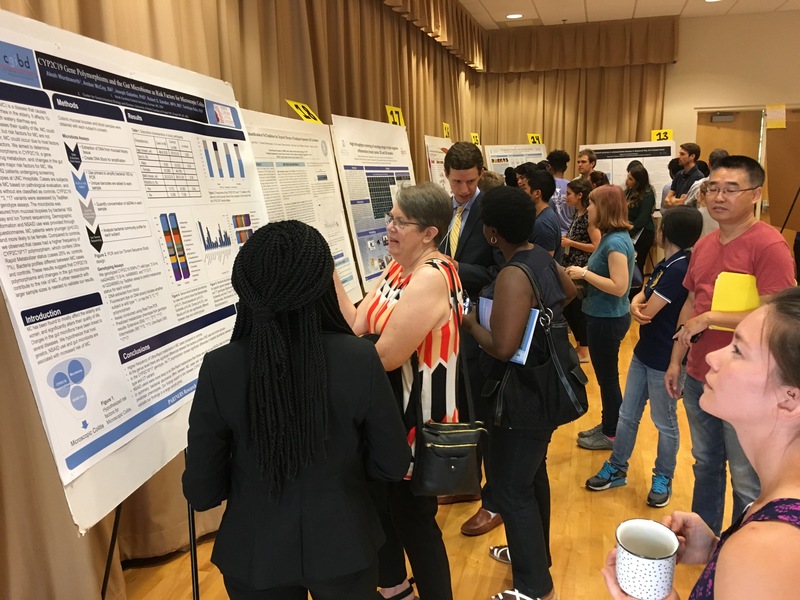 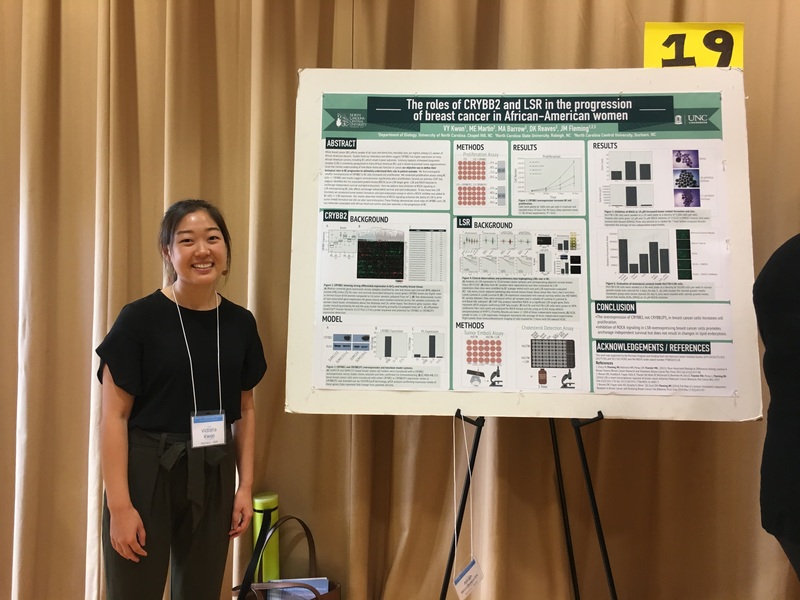 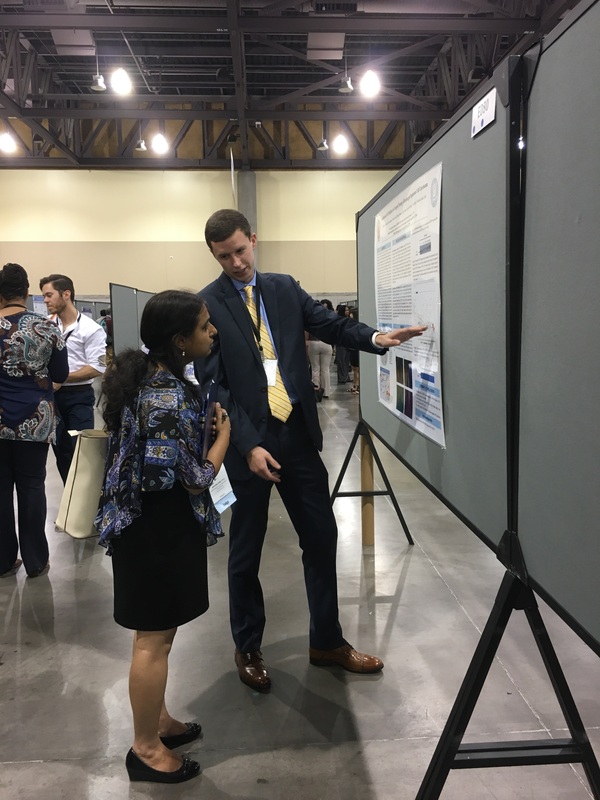 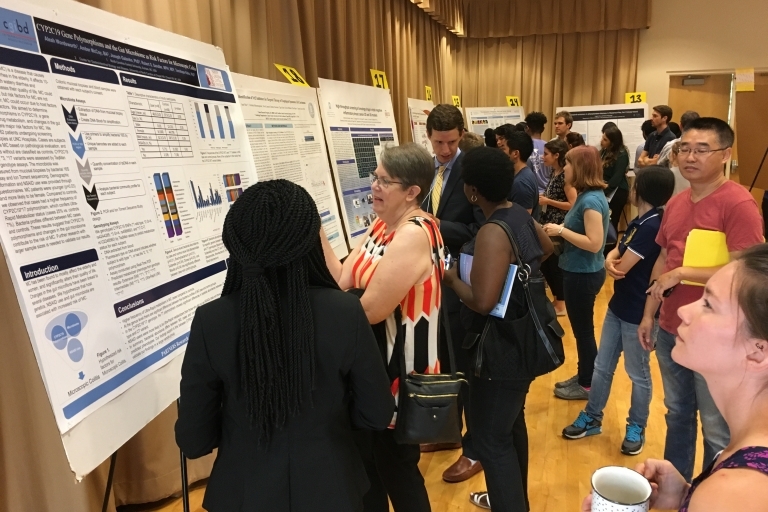 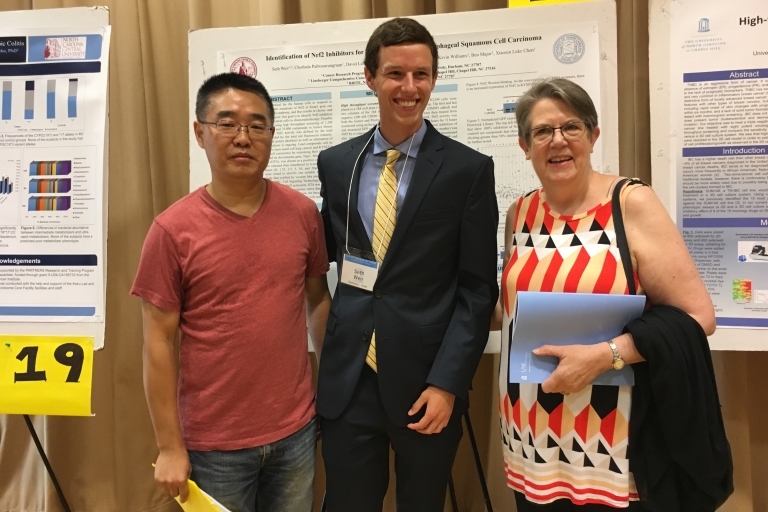 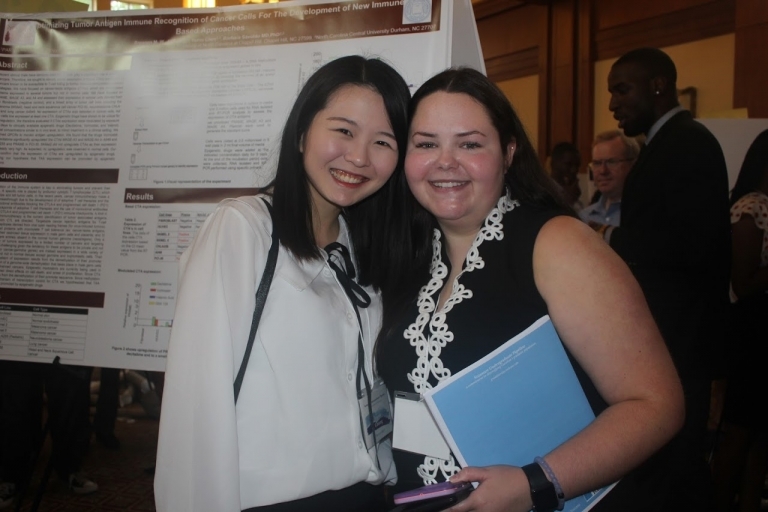 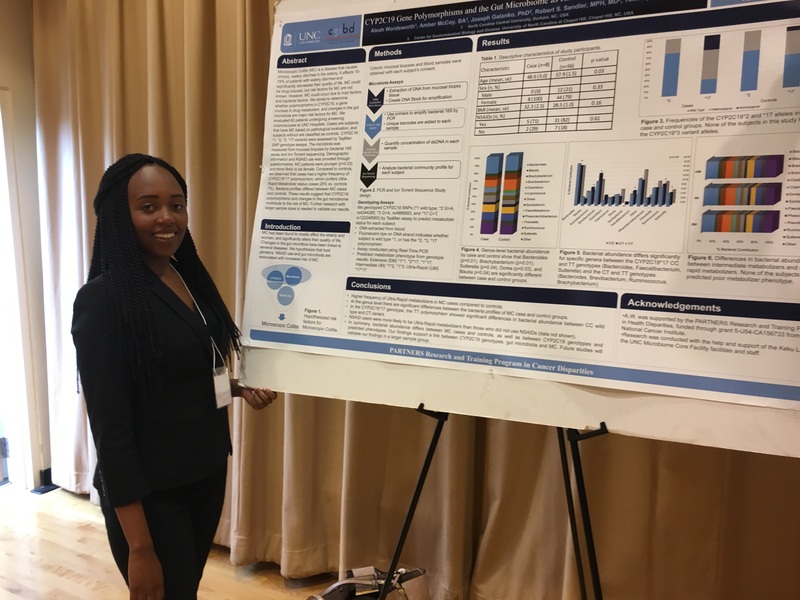 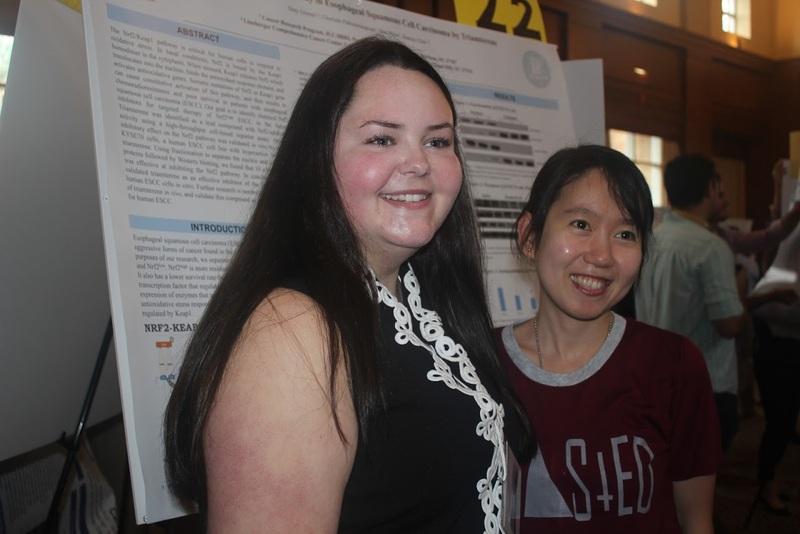 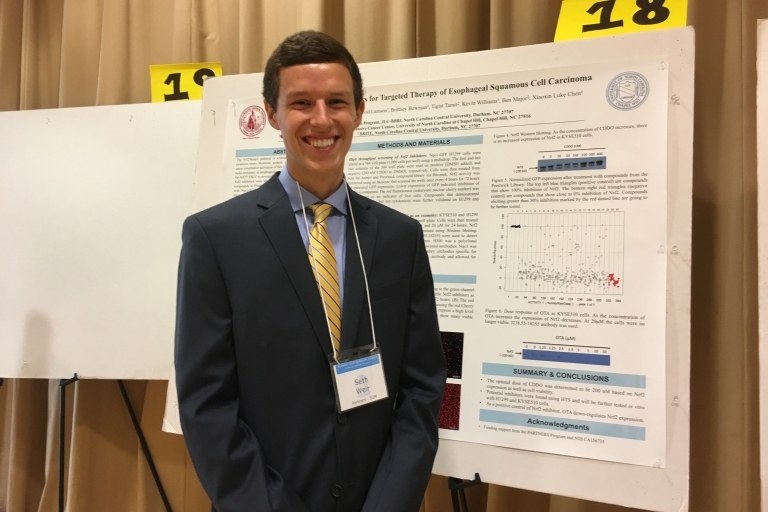 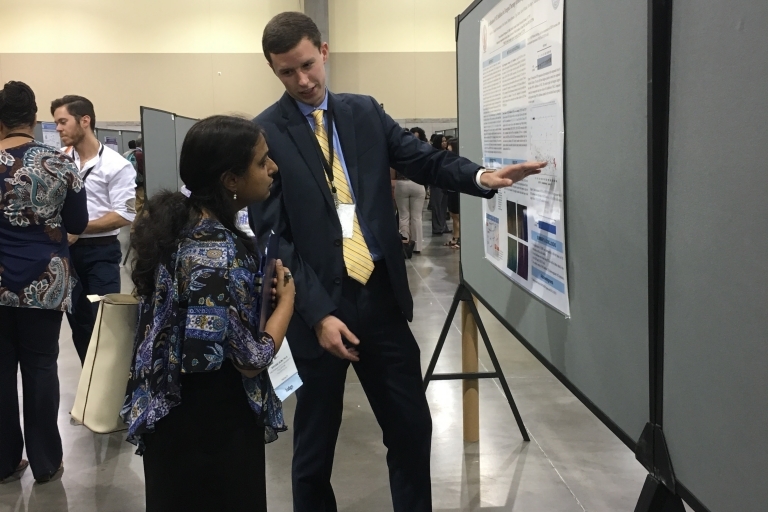 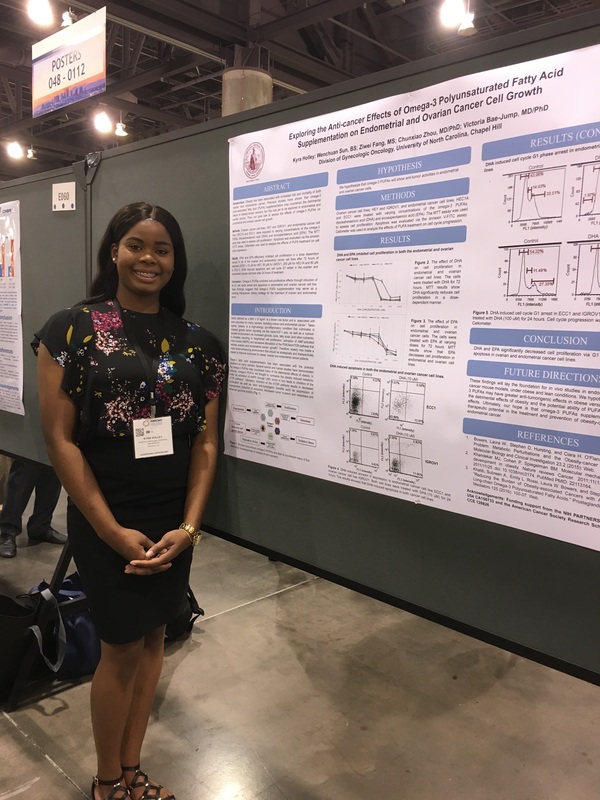 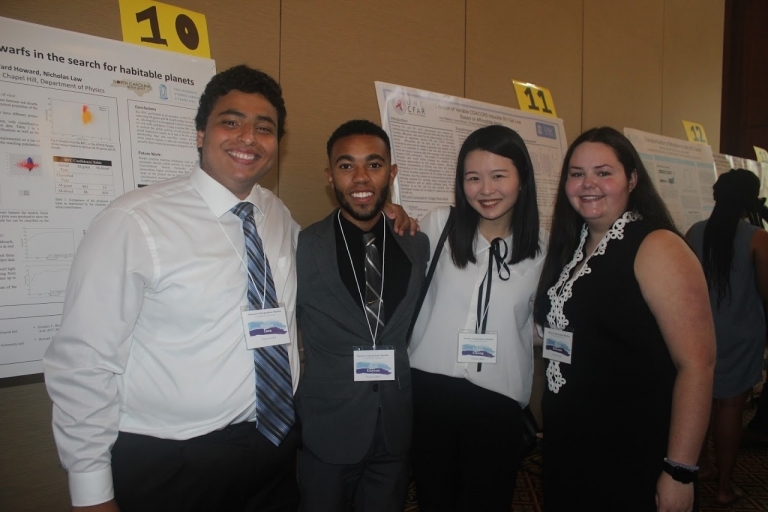 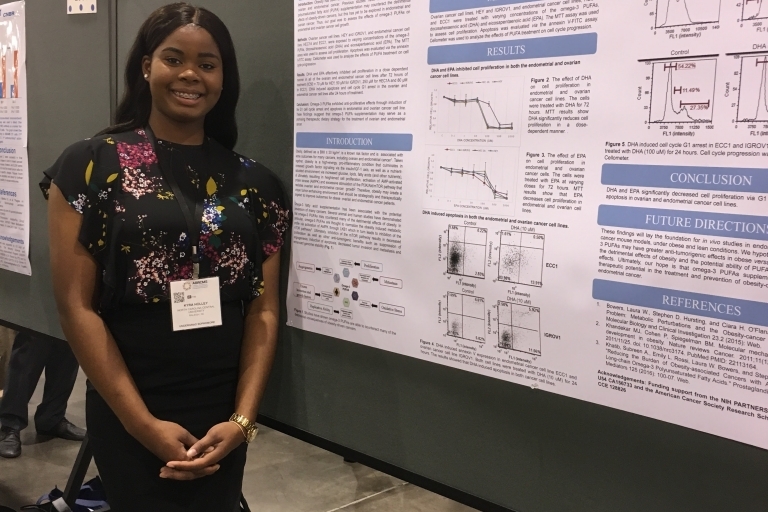 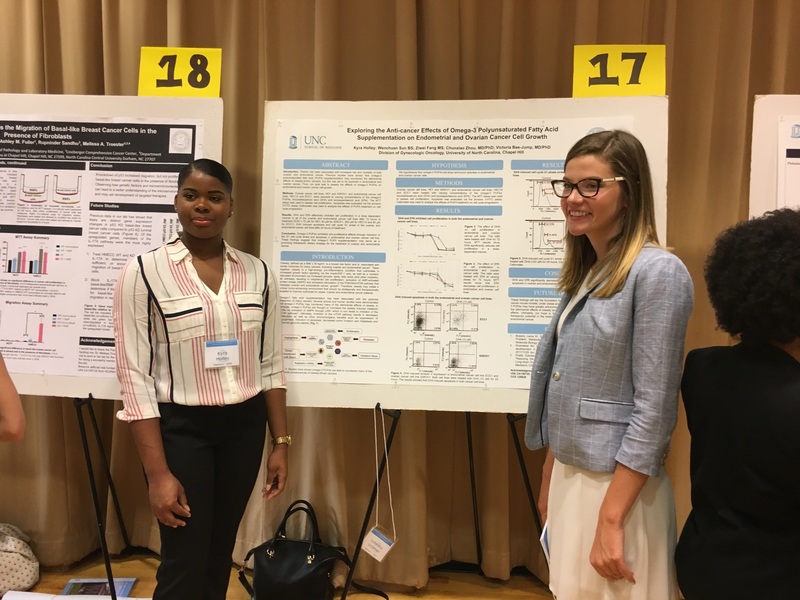 The Partners Program introduces undergraduate students to basic cancer laboratory research and to public health research in areas relevant to disparities in the prevention, incidence, treatment, mortality and morbidity of cancer. 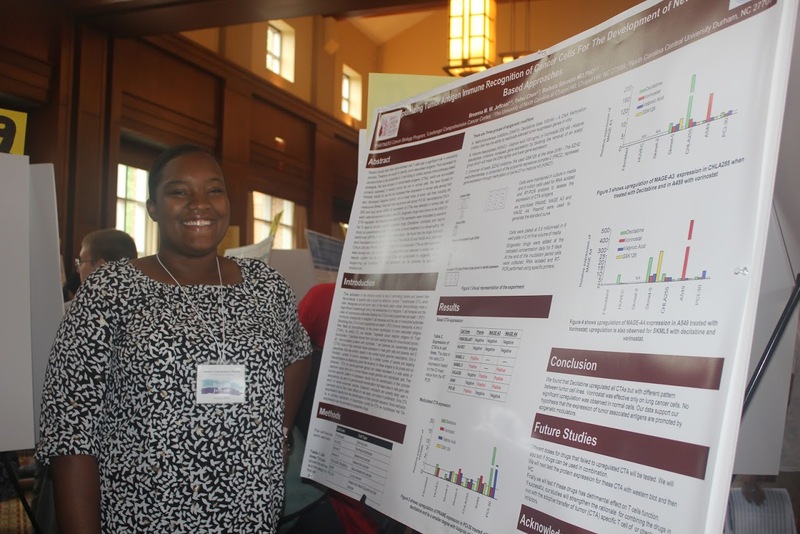 Students may choose either a Cancer Biology Concentration (UNC and NCCU students) or a Public Health Concentration (NCCU students only). 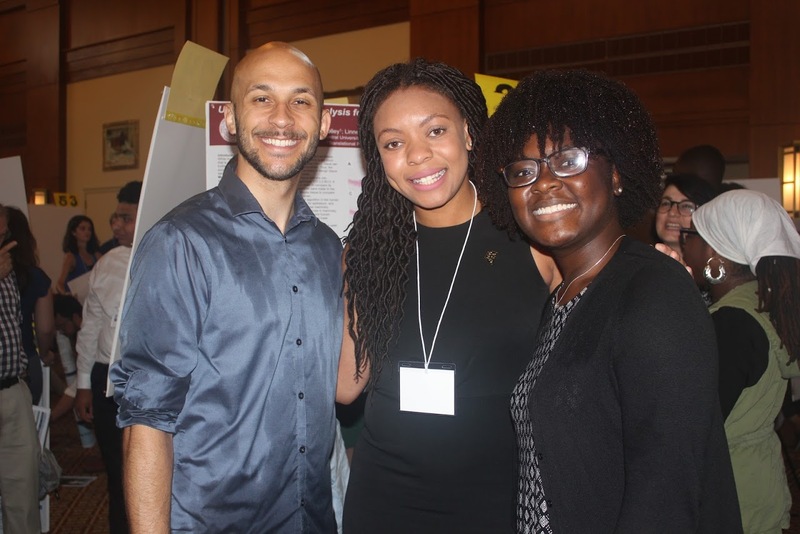 African Americans carry the highest cancer burden of any racial or ethnic group in the United States. 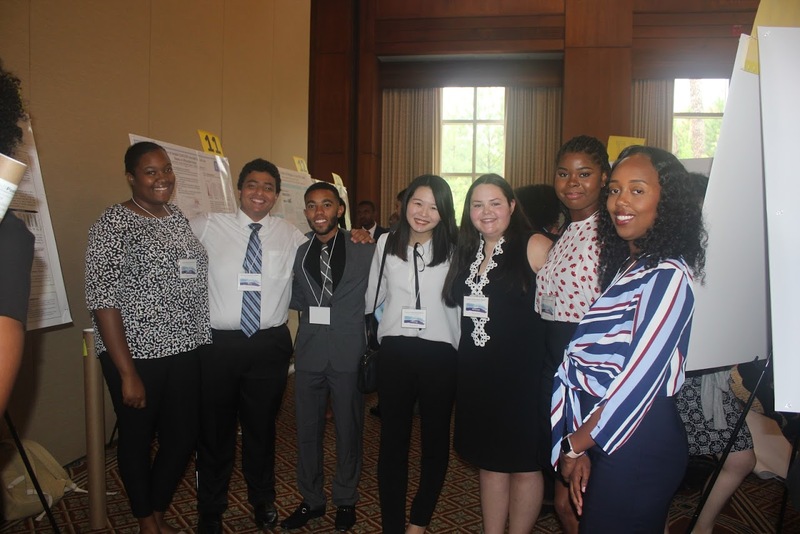 The Research Education Core of this U54 proposal will provide research experiences and professional development activities in support of our long-term goal: the development of a workforce devoted to eliminating disparities in cancer prevalence, screening, diagnosis, and treatment. 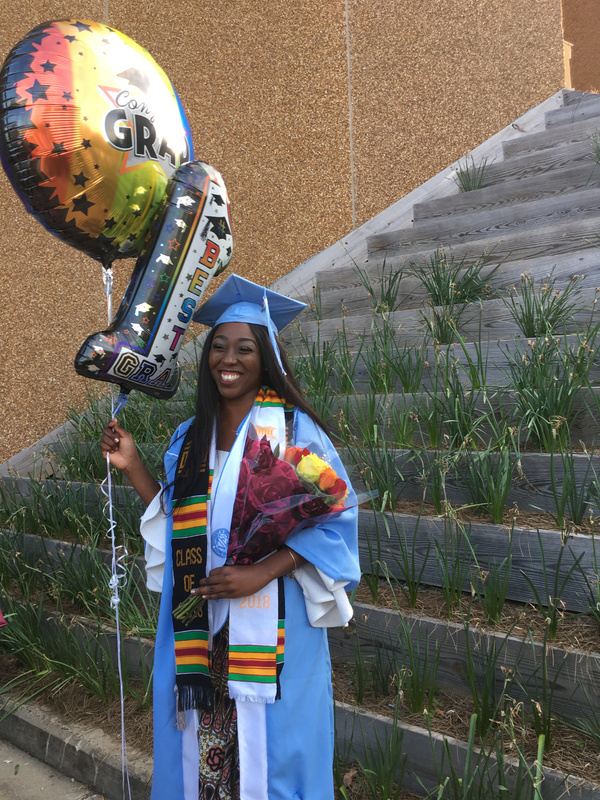 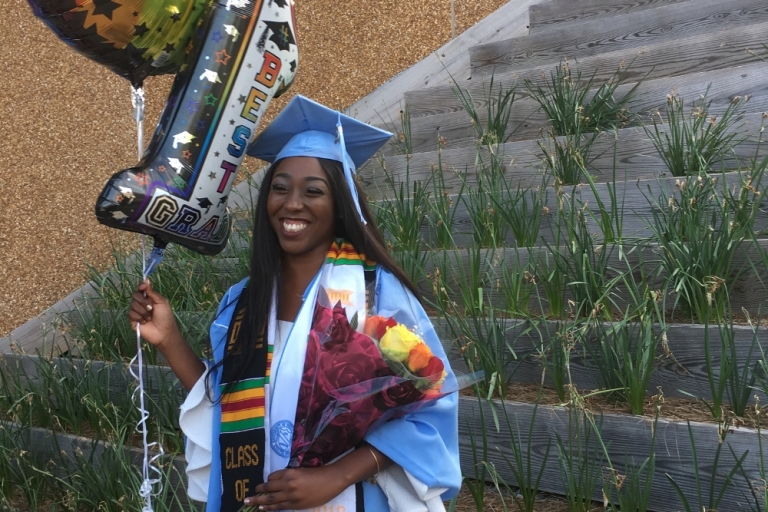 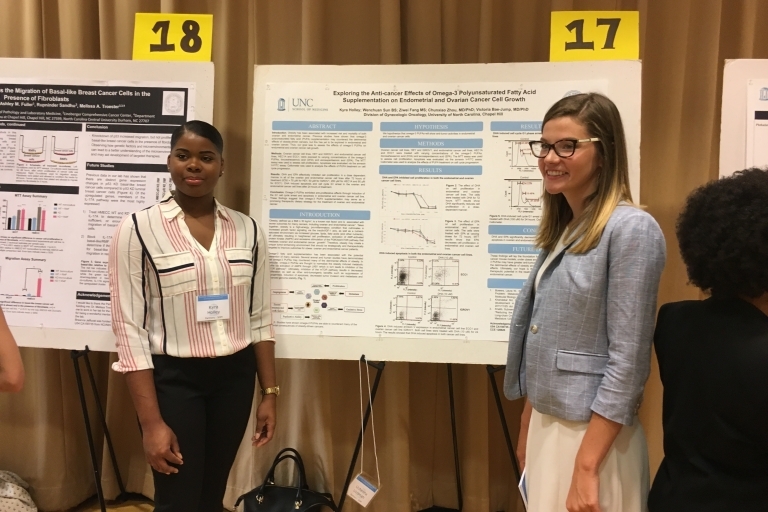 The Partners Cancer Research Education program, developed as a collaboration between UNC-Lineberger Comprehensive Cancer Center, the UNC-Gillings School of Global Public Health, and North Carolina Central University (NCCU), is the vehicle for reaching this goal. 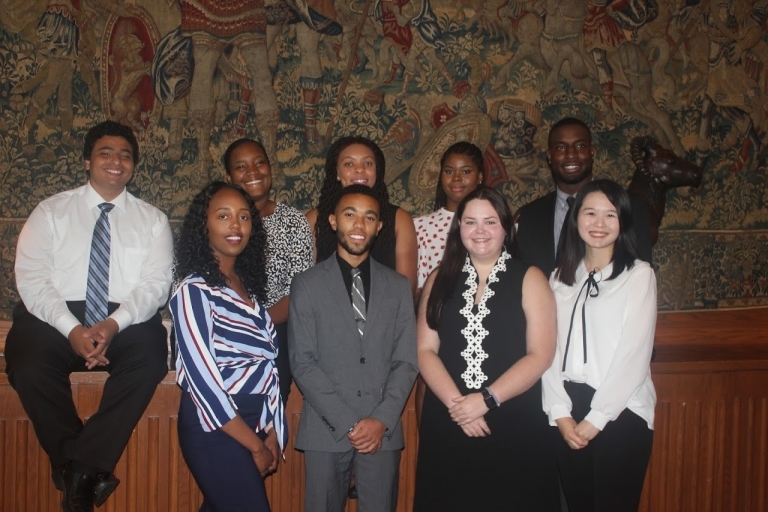 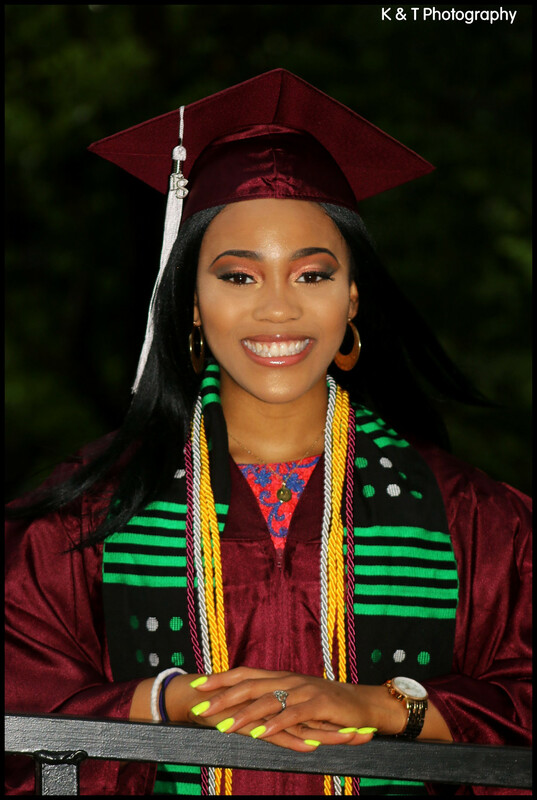 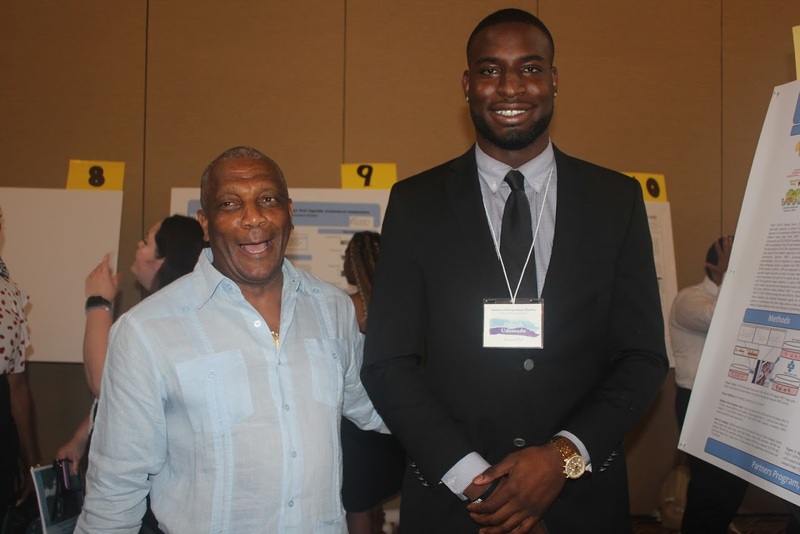 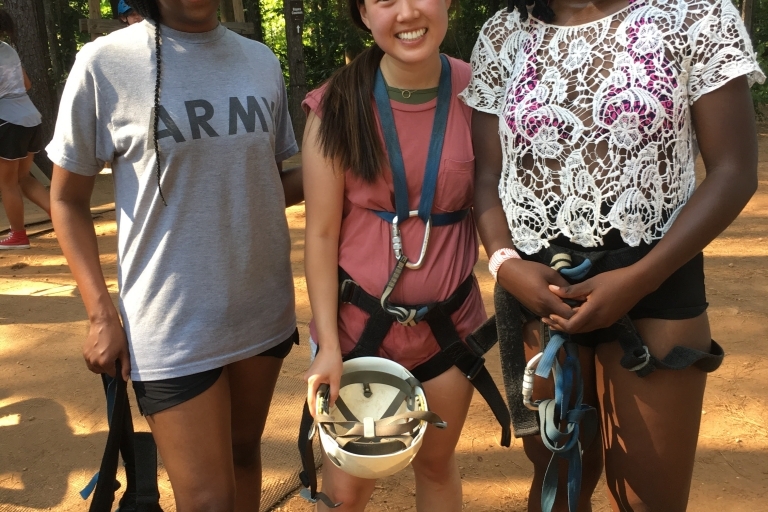 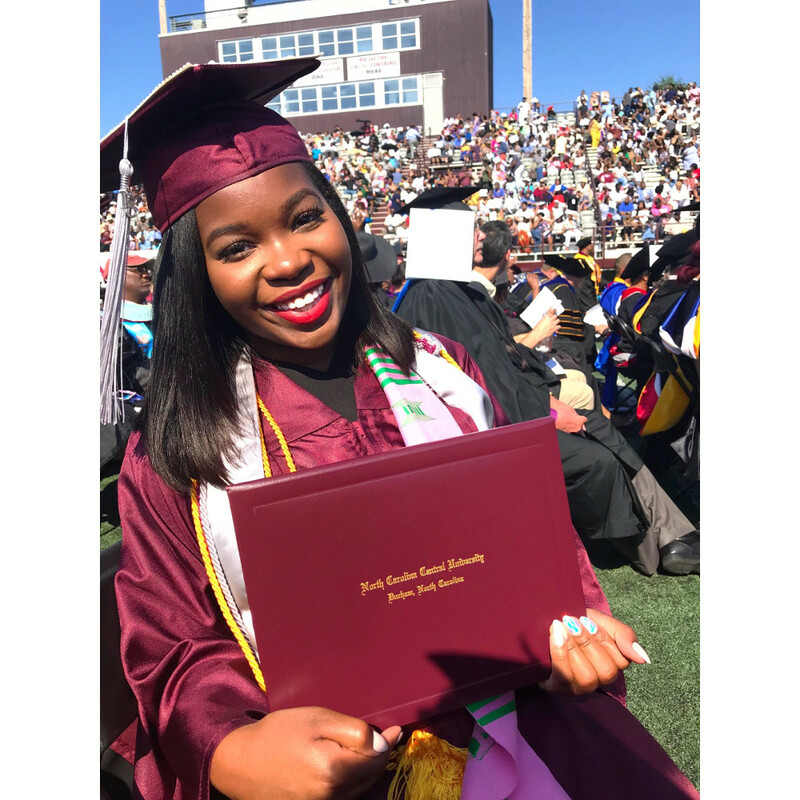 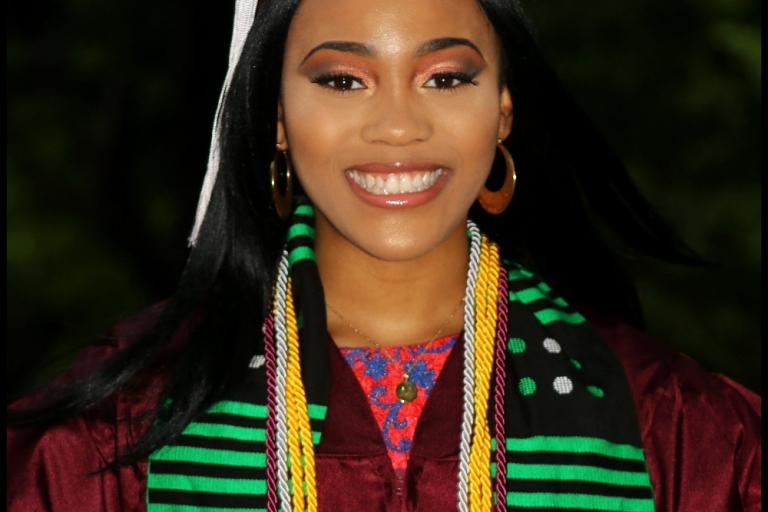 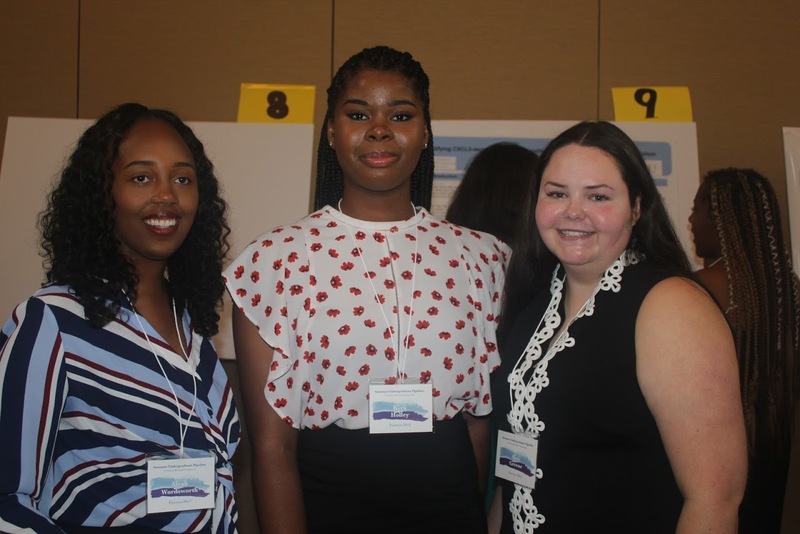 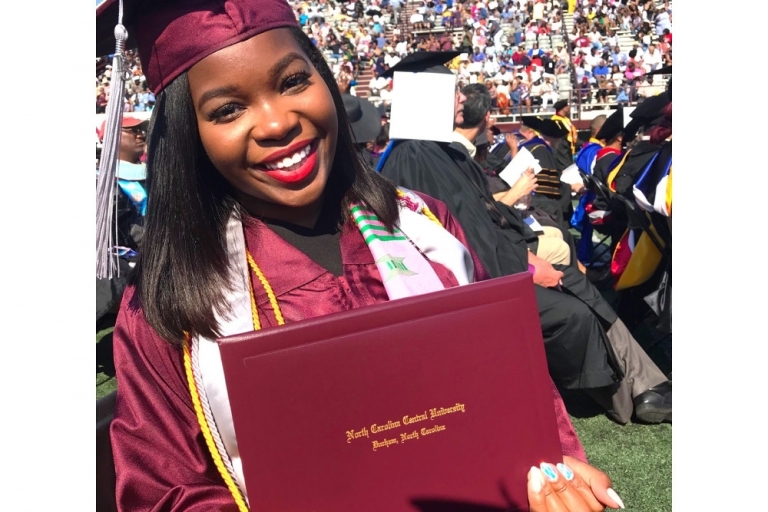 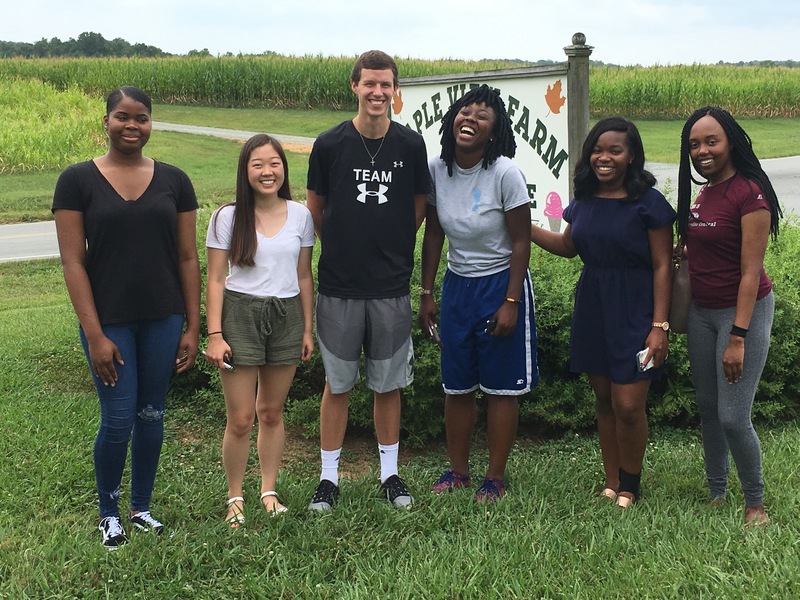 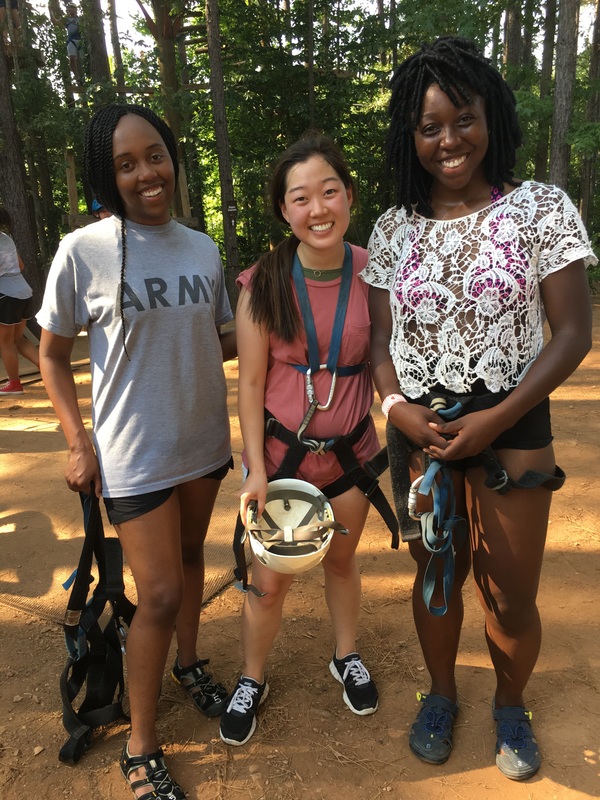 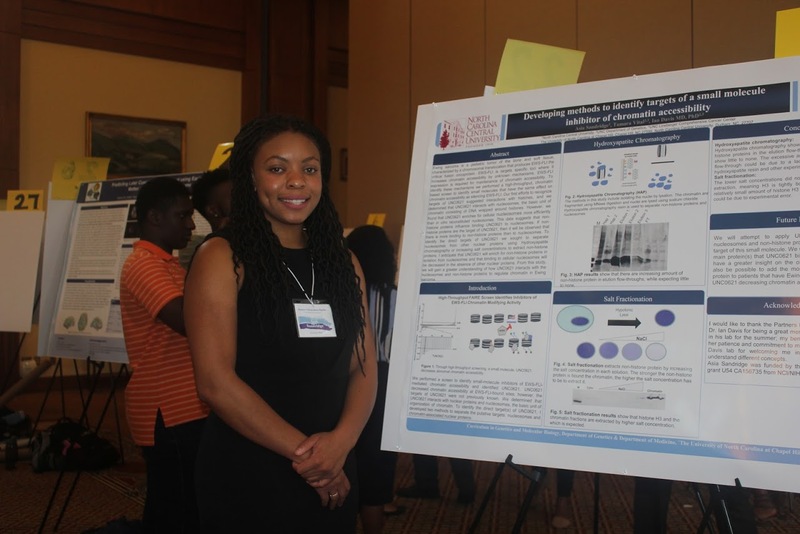 Aim 1 is to provide NCCU undergraduates (Partners Fellows) with an intensive introduction to either basic cancer laboratory research or to public health cancer prevention research through academic year and summer research experiences. 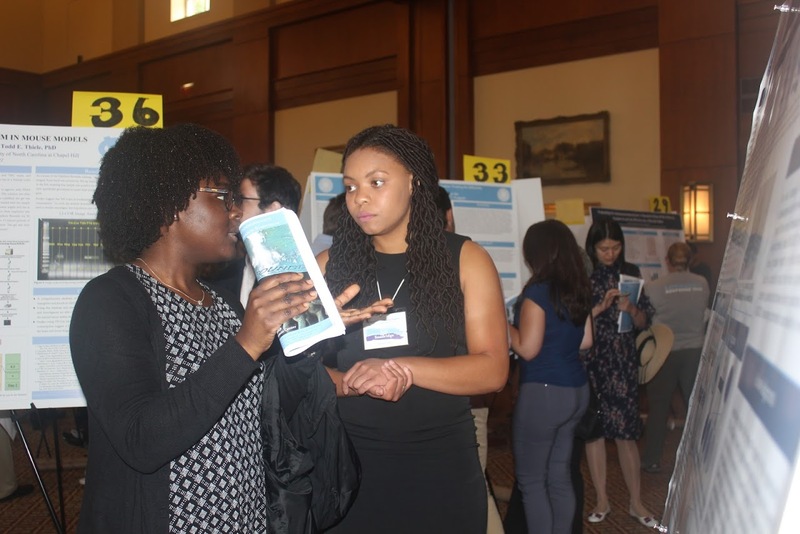 (b) Provide Fellows an interdisciplinary educational experience to build a basic understanding of research in public health, social, behavioral and biomedical sciences. 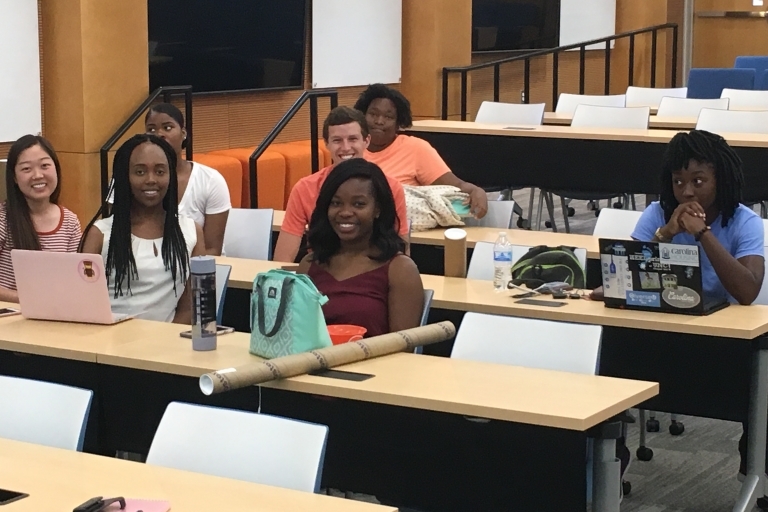 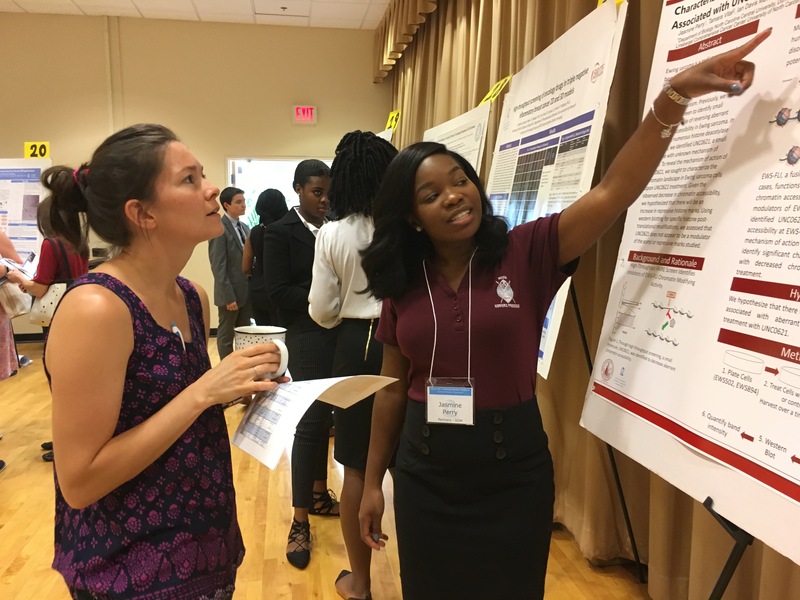 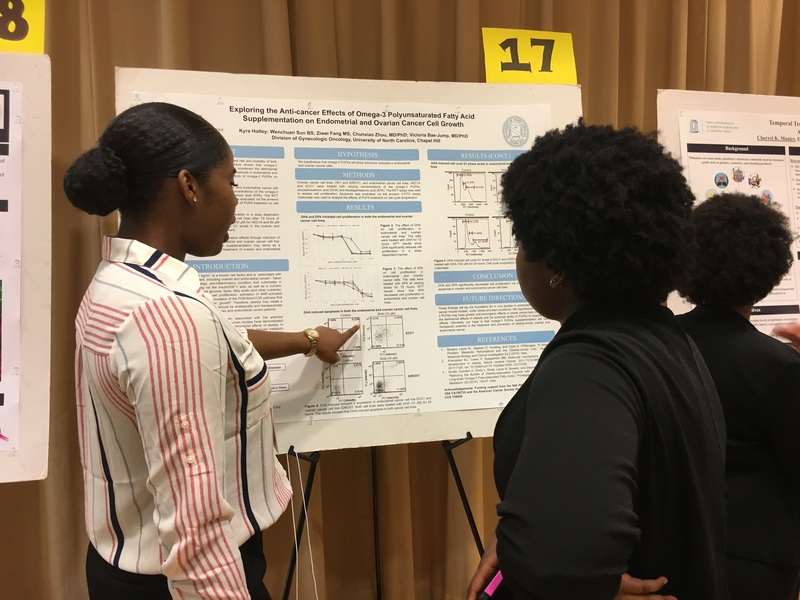 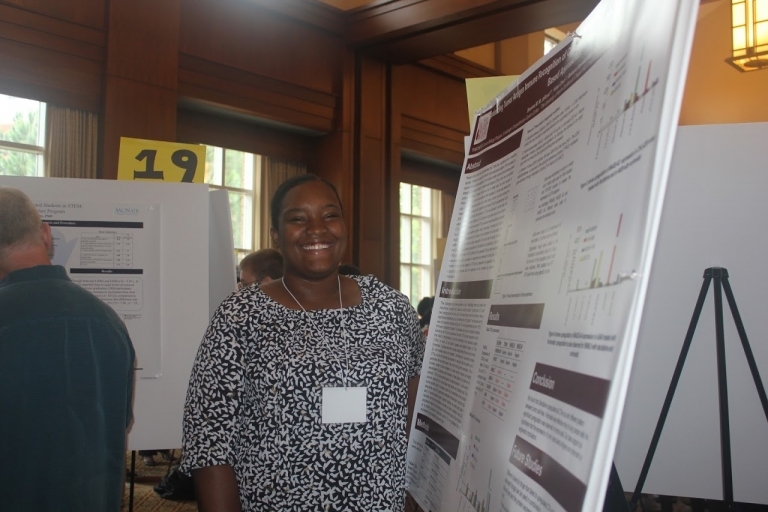 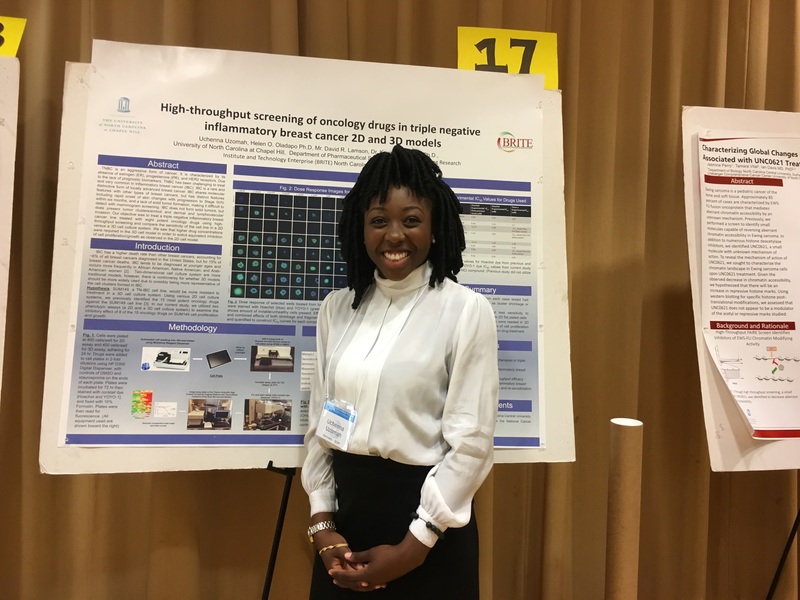 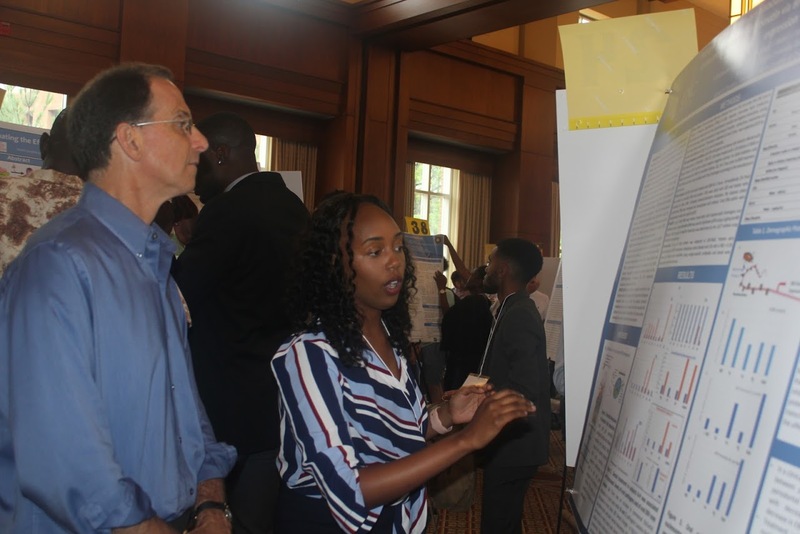 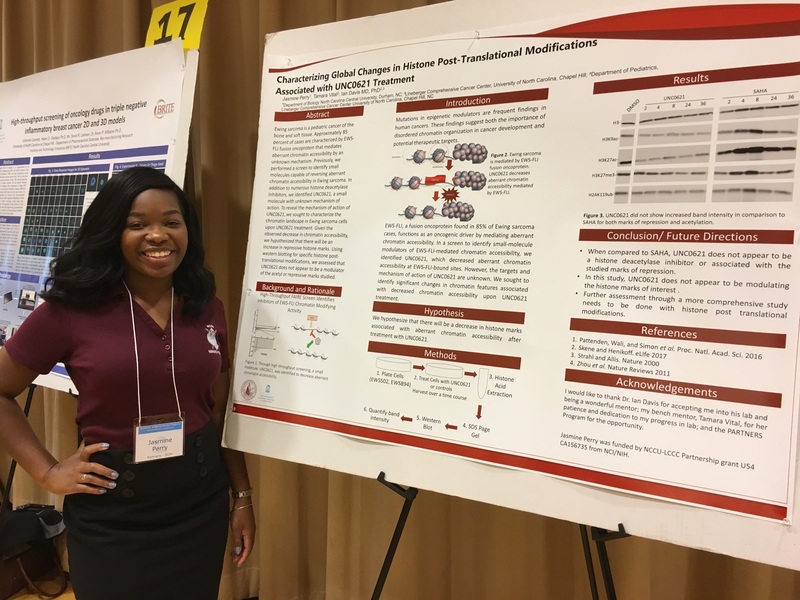 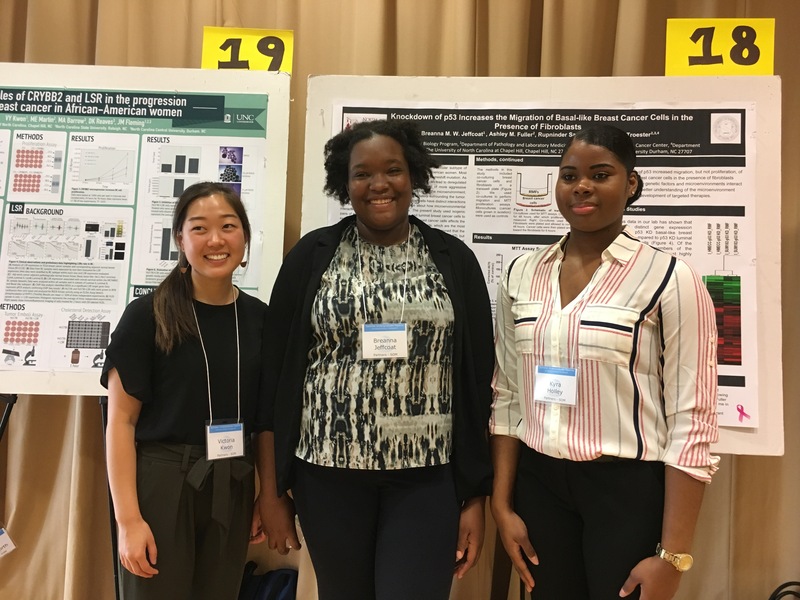 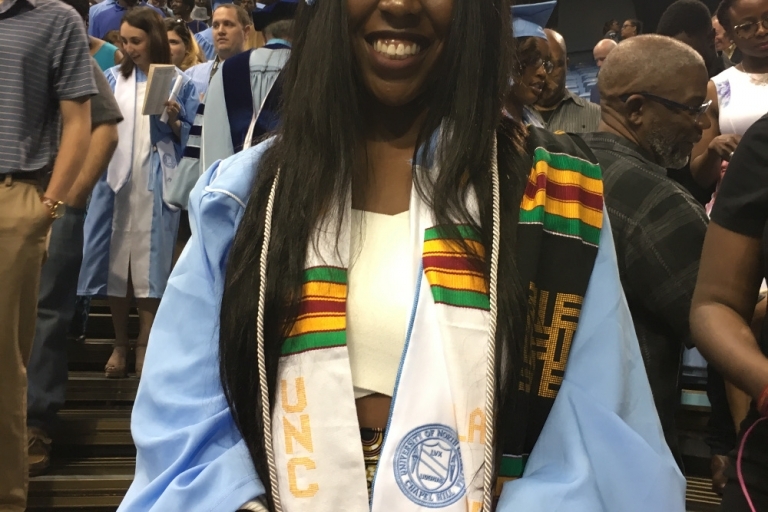 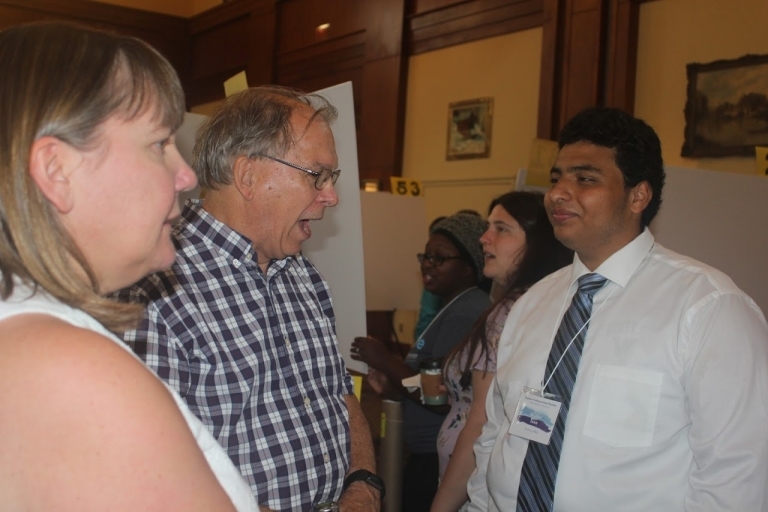 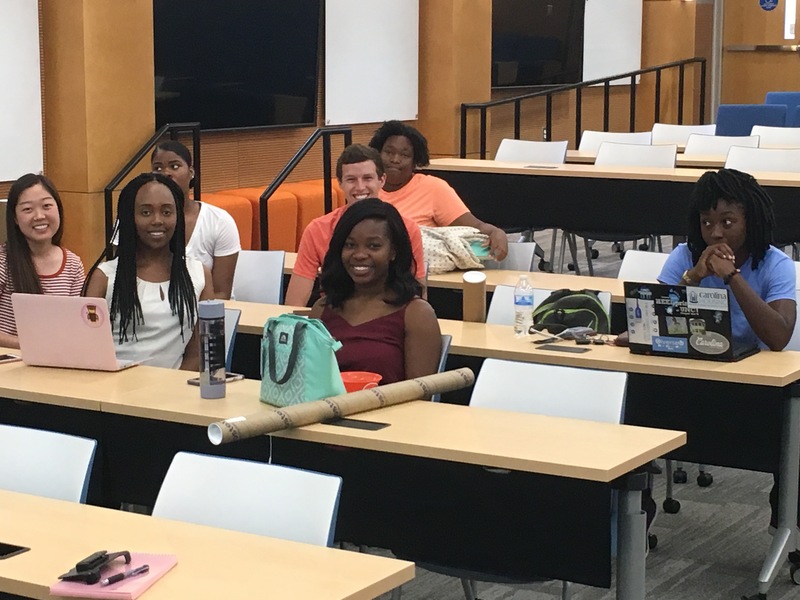 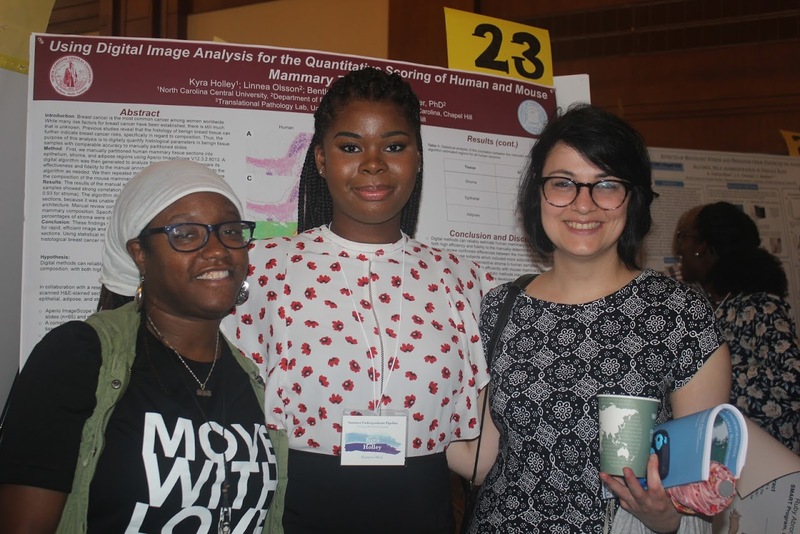 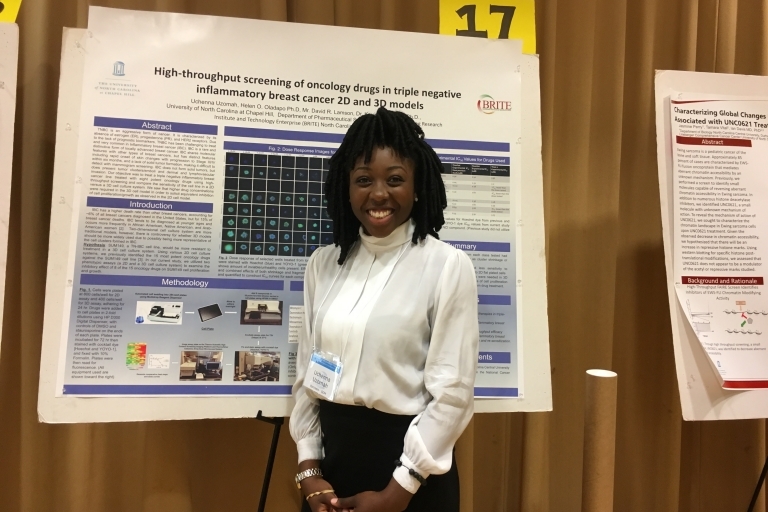 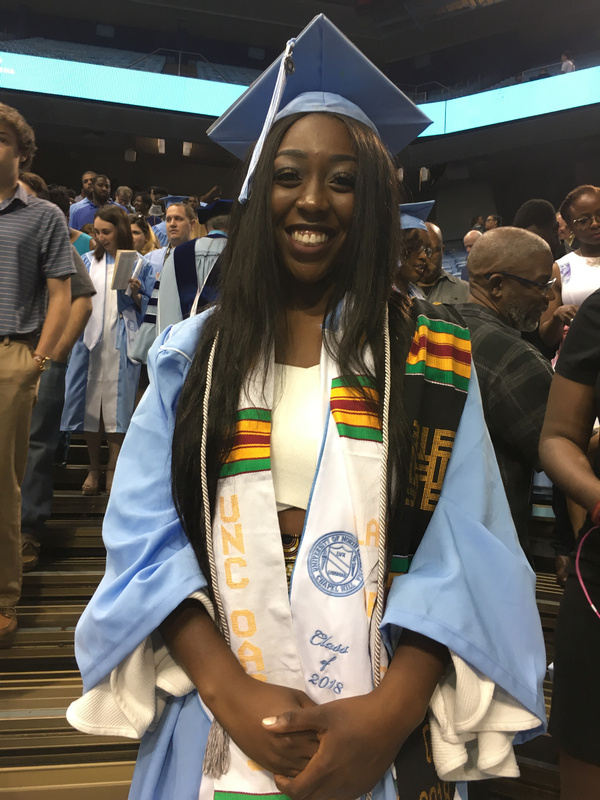 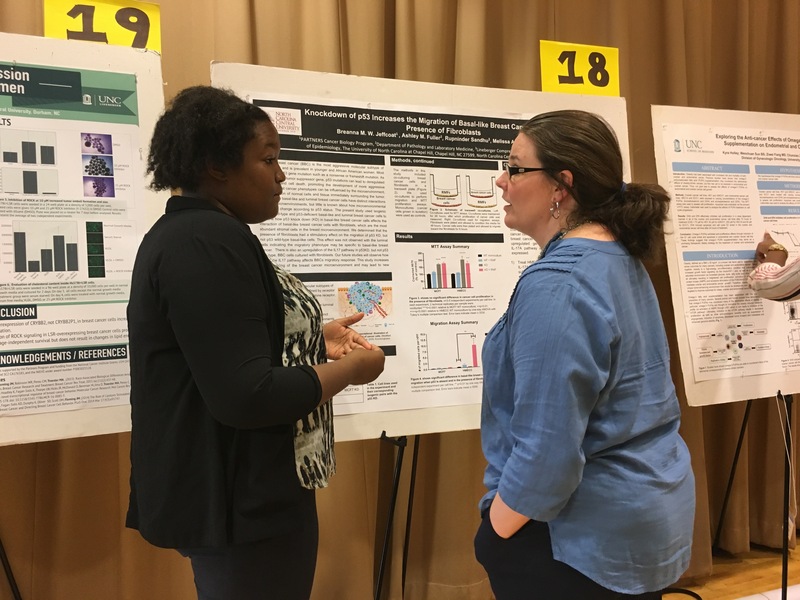 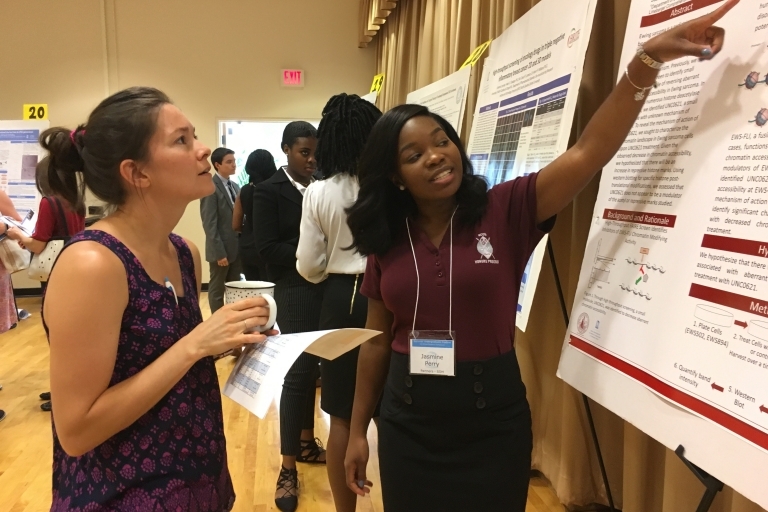 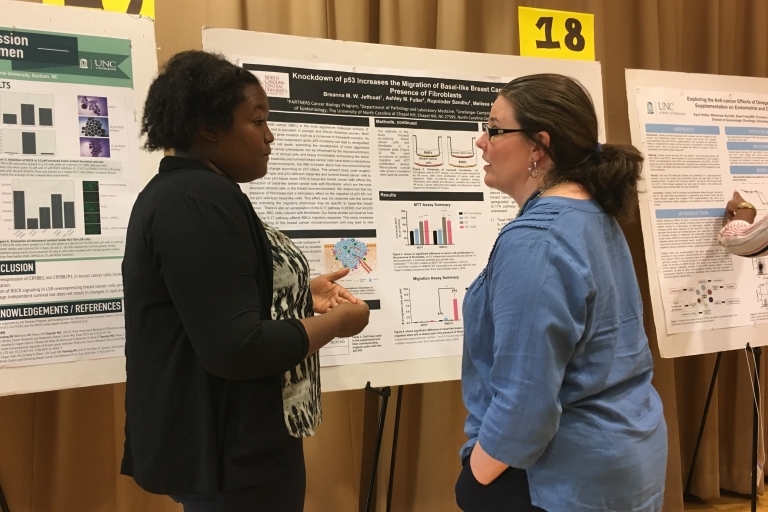 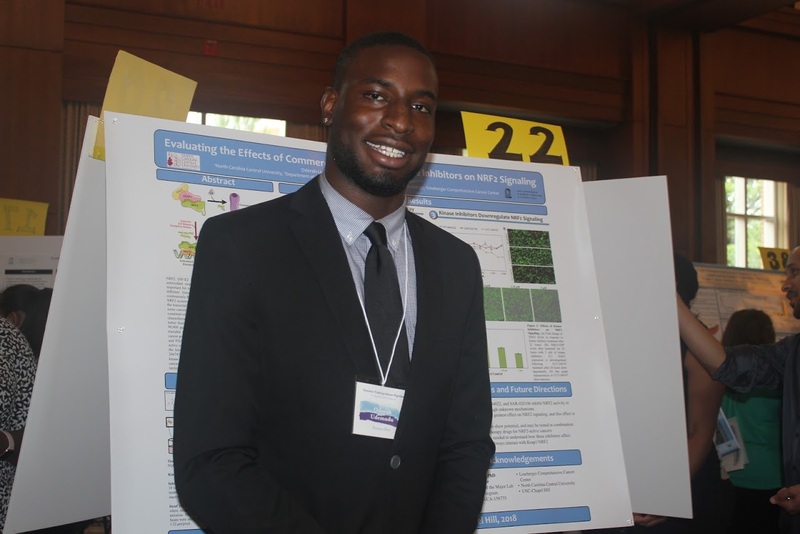 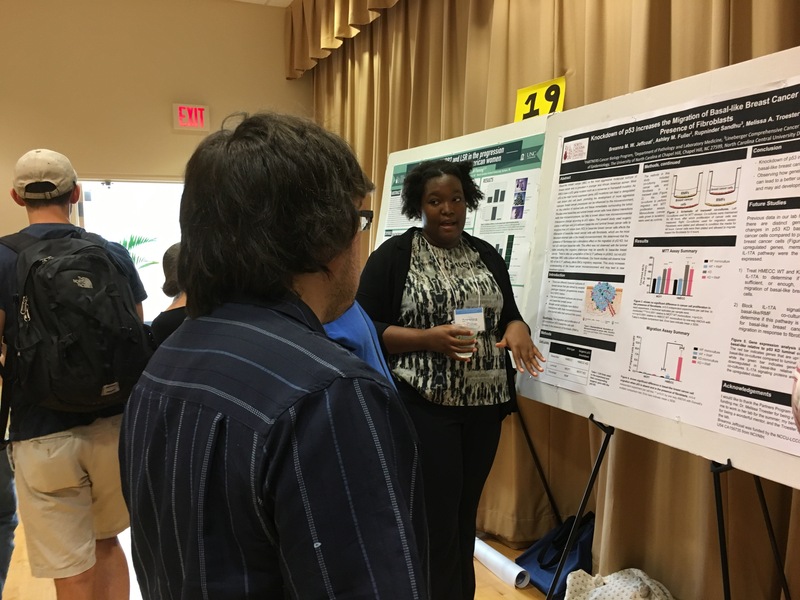 While Aims 1 and 2 concentrate on NCCU students, Aim 3 will facilitate summer cancer research experiences and professional development for UNC-CH students in laboratories at NCCU.